A science teacher who was wounded during a school shooting in Noblesville, Indiana, has been identified as a former Southern Illinois University football player, who President Donald Trump has hailed as a "hero." According to SIU, former defensive lineman Jason Seaman, a teacher at Noblesville West Middle School, suffered gunshot wounds in the Friday morning attack. A student in the class said Seaman tackled the fellow student who fired shots inside the classroom, likely averting a catastrophe. A 13-year-old student was also injured in the attack. Authorities released no information about conditions of the two victims, who were taken to Indianapolis hospitals. Seaman's brother, Jeremy Seaman, told the Indianapolis Star that Jason Seaman was shot three times and had undergone surgery. He said he was conscious after the shooting and talked with his wife, telling her he was Ok.
"I want to let everyone know that I was injured but am doing great," Jason Seamon said in a statement provided by a friend. "To all the students, you are all wonderful and I thank you for your support. You are the reason I teach." On Saturday, President Donald Trump tweeted his appreciation for Seaman, writing, "Thanks to very brave Teacher & Hero Jason Seaman of Noblesville, Indiana, for his heroic act in saving so many precious young lives. His quick and automatic action is being talked about all over the world!" 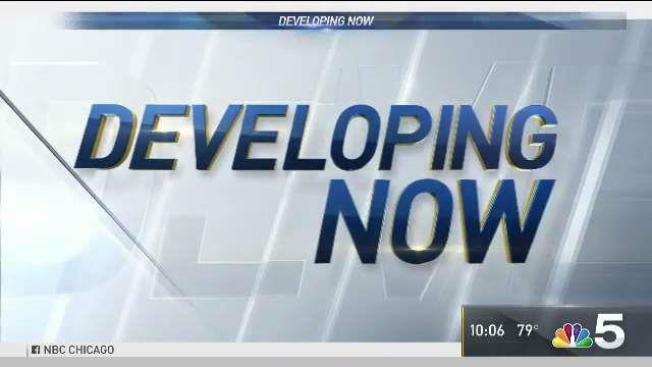 Authorities responded to Noblesville West Middle School shortly after 9 a.m. for reports of an "active shooter" at the suburban school, roughly 20 miles north of Indianapolis. The class had been taking a test when a student asked to be excused, then returned, armed with two handguns, and started firing, according to Noblesville Police Chief Kevin Jowitt. Seventh-grader Ethan Stonebraker said the teacher "immediately ran at [the shooter], swatted a gun out of his hand and tackled him to the ground." "If it weren't for him, more of us would have been injured for sure," Stonebraker added. The Indiana University Health system said in a statement that the teacher was taken to IU Health Methodist Hospital and a teenage patient was taken to Riley Hospital for Children, but details on their injuries or conditions were not immediately available. The suspected male student, whose name has not been released, was detained at the scene, according to police. A motive was not immediately known. Officials noted though that a secondary threat was made at nearby Noblesville High School, roughly four miles from the middle school in the same district and the location where students were being bused to be picked up by their parents.